The Evo Classique Sock from DeFeet is versatile, featuring thin, lightweight construction, and a classic 6-inch cuff height — perfect for all manner of cycling and beyond. They are made of performance-oriented materials that promote breathability and moisture transfer. 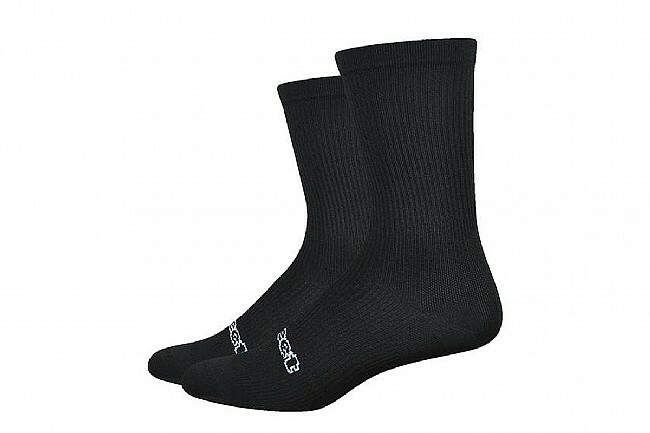 The ribbed cuff and the stretchy knit keep feet comfortable whether you’re at the office or out on a training ride. Materials: 50% Nylon, 39% Polyester, 11% Lycra.